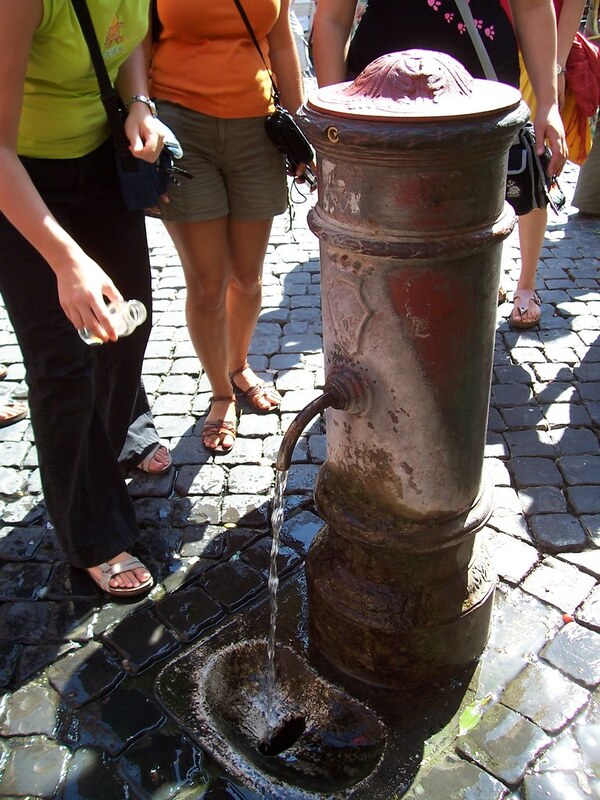 Drinking fountains in Rome are as quintessential as the city’s many Roman monuments. Standing about three feet high, these 200-pound cylindrical cast iron structures with a long, bent spout can be found all over the city’s piazzas and street corners. They are known as nasoni, which means “big nose”, because they are said to resemble one. The ice-cold water that flows perpetually out of these nasone is brought to the metropolis from 30 kilometer away, from Lake Bracciano, via a long aqueduct that was built by the ancient Romans. 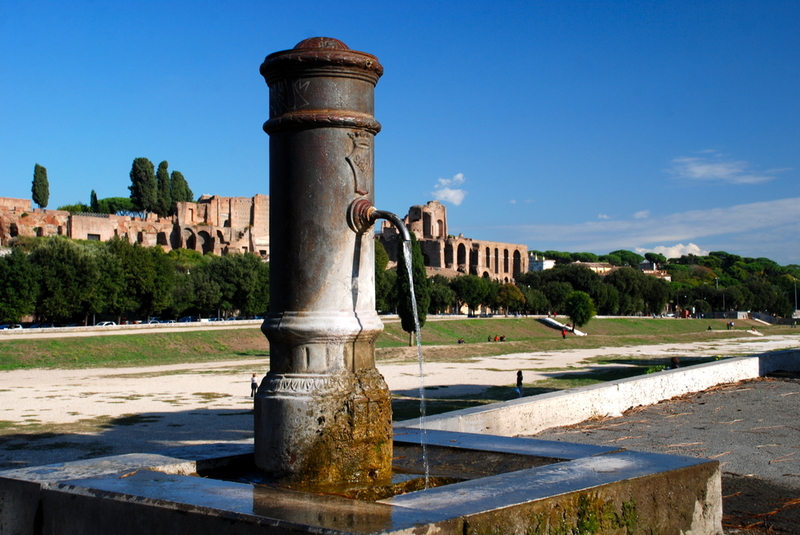 Back then, Rome had nine aqueducts which fed 39 monumental fountains and 591 public basins, not counting the water supplied to the Imperial household, baths and owners of private villas. After the fall of the Romans, the aqueducts fell into disuse and crumbled away. They were restored only during the 17th and 18th centuries. The modern drinking fountains were installed in the 1870s originally to provide clean, easily-accessible drinking water to street markets. They are godsend for tourists and locals alike during the summer months when temperature hits the mid to high thirties. 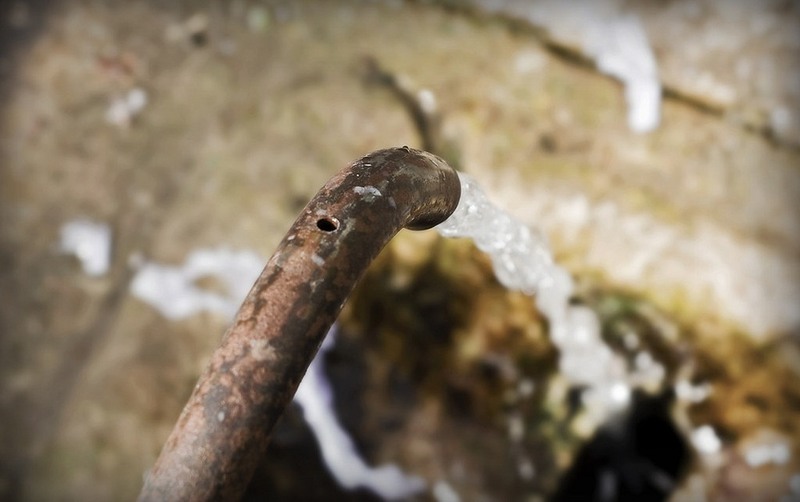 The nasone dispenses water day and night, which may seem like a waste but the unused water is recycled and most of it is used for watering gardens, cleaning factories and other non-drinking purposes. Additionally, constantly flowing water keeps the water in the pipes from stagnating, which might otherwise allow bacteria to proliferate. The nasone also have a unique design. There is a small hole at the top and spout which allows thirsty citizens to drink from the fountain more easily by blocking the bottom hole and forcing the water upwards into an arch. 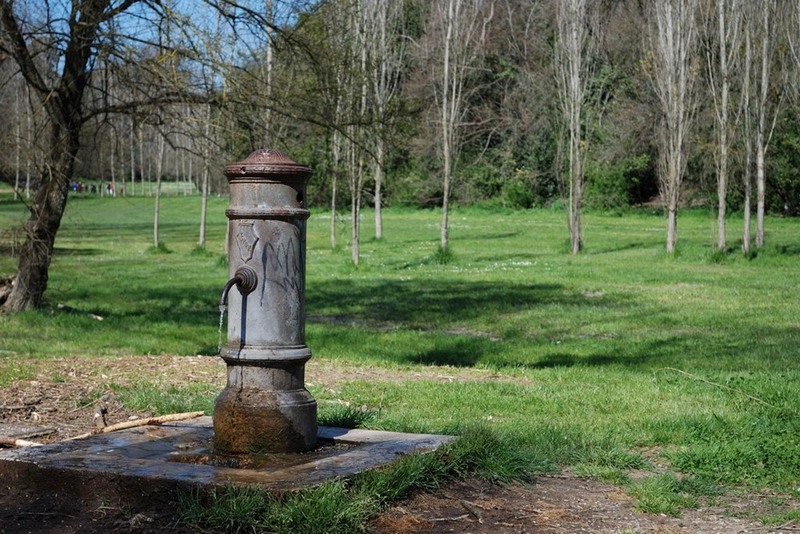 Today, Rome has around 2,500 nasone supplying citizens and tourists with free drinking water.